Floyd Shivambu's baby mama dramas are escalating. Next month he will be facing paternity tests ordered by the Randburg Magistrates’ Court, which will prove whether or not he is the father of a 5-year-old boy. Two months ago, his alleged baby mama – a model who cannot be named because it will reveal the identity of her child – disclosed that the deputy president of the Economic Freedom Fighters (EFF) had failed to pay maintenance for their child. Court papers show that she is asking for R2 000 in maintenance every month from the MP. Her lawyer, Amanda Vilakazi, said her client had been battling for years to get even a cent out of Shivambu. “He has been promising and never delivering – that’s how we finally ended up in court,” she said. But Shivambu hit back, telling City Press he had never even met the woman. “As a matter of fact, there was never a moment [when she] approached me about a child or child maintenance. I only became aware when court papers were served. I said I was readily available to do a paternity test,” he said. But Vilakazi disputed this, saying that Shivambu and his lawyer had already made an offer to pay maintenance before the court had ordered the paternity tests. Meanwhile, City Press has learnt that a maintenance order was served on Shivambu in Parliament days before he and his party members voted against the Maintenance Amendment Bill, which would see maintenance dodgers blacklisted. Shivambu, however, denied that his party’s stance on the law had anything to do with his situation. He is not the only MP with baby mama dramas. 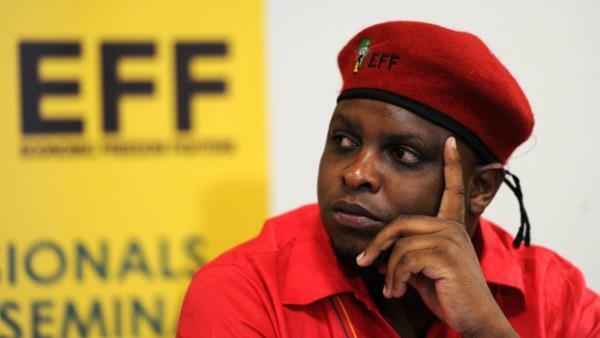 Shivambu is among one of 12 male MPs who have been served with maintenance-related summonses since the start of the fifth Parliament in May last year. The sheriff of Cape Town, Ncedile Ntsibantu, told City Press 80 summonses – relating to maintenance and attachment orders for unpaid bills – were served on MPs and parliamentary staff last year and 34 had been served this year. The lowest-paid MPs receive a salary of R989 883 a year and also get virtually free accommodation in parliamentary villages with free electricity and water, gardening services, 24-hour security and free transport for children in school. Then there are the 86 free local flights a year. According to the Powers, Privileges and Immunities of Parliament and Provincial Legislatures Act, the Speaker or their representative may grant permission for the serving of a summons on a person in Parliament’s precinct. A decision was taken to allow the sheriff to serve summonses on parliamentarians. But Vilakazi said it was a “difficult process as you have to wait on the Speaker to give permission that the summons should be served”. Ntsibantu said since he became sheriff in December 2012, his office had regularly served “a lot” of summonses on Parliament, and it was not a smooth process. Obtaining permission from the Speaker often took too long, and sometimes summonses expired. “You forward a letter, let’s say today, to Parliament, but they might come back to you sometime in December. “It is not a joke; it is ridiculous,” he said. But Shivambu was not so lucky and received his summons in June. It demanded that he appear in court for his alleged failure to meet his child-maintenance obligations. Parliament passed the Maintenance Amendment Bill, which was signed into law by President Jacob Zuma last week.